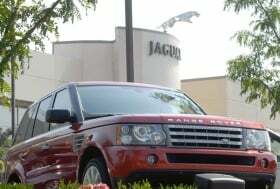 LONDON -- Jaguar Land Rover has held talks with the government about financial support for bringing a new 750 million pound ($1.20 billion) engine plant to the UK, The Sunday Telegraph reported. The newspaper said senior management from JLR and parent Tata Motors Ltd. met officials from the Department of Business Innovation and Skills (DBIS) on Thursday. It said JLR has identified three areas potentially to base the plant - Wolverhampton, south Wales and a site in India, with Wolverhampton the front-runner given its proximity to the British luxury carmaker's existing three UK plants. The newspaper cites a DBIS spokesman as confirming talks and saying Business Secretary Vince Cable is in "regular contact" with JLR concerning a range of matters. JLR could not be immediately reached for comment.